On October 2, 2012, the US Attorney’s Office for the Central District of California announced that a check-cashing store in Los Angeles and its anti-money laundering officer placed guilty to numerous federal charges, including the violation of the Bank Secrecy Act. The company, called G&A Check Cashing, was located in Los Angeles. The compliance officer, Humberto Sanchez, is from El Monte. 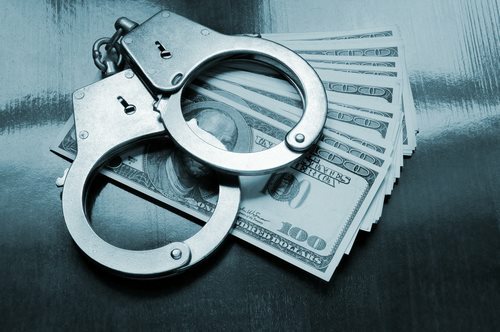 The company and compliance officer both pleaded guilty in a United States District Court for failure to maintain a lawful money laundering policy. The FBI reports that anti-money laundering laws require financial institutions to file a CTR for any transaction over $10,000. The financial institution must record the name and address of the person who allowed the currency transaction, the name and address of the person for which the transaction was conduct, and the amount and date of the transaction itself. The procedures are in place because individuals will usually try to use check cashing businesses to conceal fraud and money laundering crimes. The court found that over a six-year period, the company and Sanchez failed to report CTRs for transactions that equaled about $24 million. Karen Gasparian, who was the former manager of G&A, pleaded guilty on September 20, 2012 for failing to file the CTRs and failing to maintain an anti-money laundering program. The FBI reports that Gasparian will be sentenced on December 3, 2012. G&A and Sanchez are scheduled for sentencing on December 10, 2012. Gasparian faces a maximum sentence of 10 years in federal prison and a fine of $500,000. Sanchez faces a maximum penalty of 5 years in prison and a fine up to $250,000. The company faces a maximum penalty of five years of probation and a fine up to $1 million. The case is being prosecuted by Assistant U.S. Attorney David Kirman and Trial Attorneys Matthew Haslinger and Matthew Klecka.